The SoundStage! Network includes four main review publications: SoundStage! Hi-Fi (this one), SoundStage! Xperience, SoundStage! GoodSound!, and SoundStage! Xtreme (aka Ultra Audio). Throughout the year, each site gives awards to those components considered better than the rest: the Reviewers’ Choice Award for Hi-Fi and Xperience, the Great Buy Award for GoodSound!, and the Select Component Award for Ultra Audio. It’s from this list of Reviewers’ Choice, Great Buy, and Select Component recipients that we choose our Products of the Year, which are divided into two main groups: Exceptional Value and Outstanding Performance. Exceptional Value emphasizes performance and affordability, while Outstanding Performance recognizes performance regardless of cost. We also give two more Product of the Year awards: Pioneering Design Achievement, for a product that brings something new and innovative to the high-performance-audio market, and Aesthetics and Sound, for a high-performing product that looks as good as it sounds. And that’s important -- high-end gear is seldom only listened to; it’s looked at and admired as well. Magico Q7 loudspeaker: I could imagine Magico’s founder, Alon Wolf, shouting “Hoo-wah!” the first time a Q7 emerged from his factory door and into the world -- it’s an impressive piece of engineering that anyone would be justifiably proud of. Standing 5’ tall and weighing 750 pounds, the single-piece, five-driver, four-way Q7 is big, heavy, and dense. Its weight is largely due to its all-aluminum enclosure -- whose internal bracing system looks like something the US military would create -- and its woofers, which have motor systems as big as basketballs. Nor is the Q7 easy to move from place to place -- when Jeff Fritz brought in a pair of Q7s for our “The World’s Best Audio System 2012” event earlier this year, he had to cut a big hole in the floor of his second-story listening room, and use a forklift to get the speakers up there. Commensurate with the Q7’s size, weight, and complexity is a price befitting such a Herculean effort: $185,000 USD per pair. There’s never been a loudspeaker quite like the Q7, and in years to come it’s going to take a doozy of an effort to outdo it. Sonus Faber Amati Futura loudspeaker: If there’s a company that knows how to mix superb sound with luxury-goods styling, it’s Italy’s Sonus Faber, and the exquisitely styled and exceptional-sounding Amati Futura loudspeaker is the best example of their work right now. It sells for $36,000 per pair, and Jeff Fritz reviewed it for Ultra Audio last April. Audiophiles know that “good sound” is notoriously subjective; so are looks. I think everyone who sees the Amati Futura will like it, but they’ll also find something different to admire about it. What I most favor is the mix of materials used -- wood, metal, and leather -- and how they all look so different, but work together beautifully to create a modern masterpiece of hi-fi. I’d take a pair of these in my room any day of the week. KEF R500 loudspeaker: While the Magico Q7 and Sonus Faber Amati Futura made big impressions on our readers -- who in turn generated quite a number of “page impressions” -- no loudspeaker review on the SoundStage! Network was more popular this year than the one I wrote for this site about KEF’s R500. The R500 is one of the very best values in hi-fi today, offering +$10,000/pair sound for only $2699.95 -- which is why it deserves a Product of the Year award for Exceptional Value, and why it’s the lowest-priced floorstanding speaker to ever become a SoundStage! Hi-Fi Recommended Reference Component. 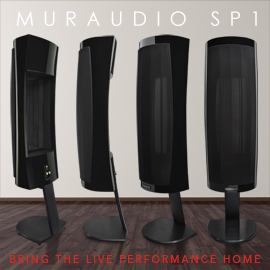 Add the R500 to the very short list of the three most impressive speakers of 2012, along with the Magico Q7 and the Vivid Audio Giya G2 (see below). Definitive Technology StudioMonitor 45 loudspeaker: You’d be hard-pressed to find a better-performing speaker for $398 per pair than Definitive Technology’s StudioMonitor 45 -- which is why, in his GoodSound review in October, Roger Kanno described its price tag as “ridiculously low.” You’d also have a tough time finding a better-looking one -- rounded edges, a shiny baffle, and an attractive grille are just a few of its design flourishes that are seldom found on speakers anywhere near this price. What’s more, the StudioMonitor 45 uses bespoke drivers: DefTech’s 1” tweeter atop their own 5.25” woofer, featuring the same Balanced Double Surround System (BDSS) technology found in DefTech’s upper-tier models. All told, the SM45 is a fantastic small, inexpensive loudspeaker that provides true high-end sound for a pittance. No wonder it’s Roger’s “new reference budget loudspeaker,” or that it won a Product of the Year award. Paradigm Millenia CT loudspeaker/subwoofer: Paradigm’s MilleniaOne and MilleniaSub have proven extremely popular with critics and consumers, not to mention interior decorators -- but a 2.1-channel system based on those models will set you back over $1500, which many consumers aren’t able to pay, no matter how good the setup might sound. Enter the Millenia CT system, cut from the same visual and sonic cloth and costing just $699 for the whole kit and caboodle. What’s more, it’s self-powered, so setup is a snap -- heck, you can mate it beautifully to your TV. And the CT sounds great. According to Hans Wetzel, in his November 2012 SoundStage! 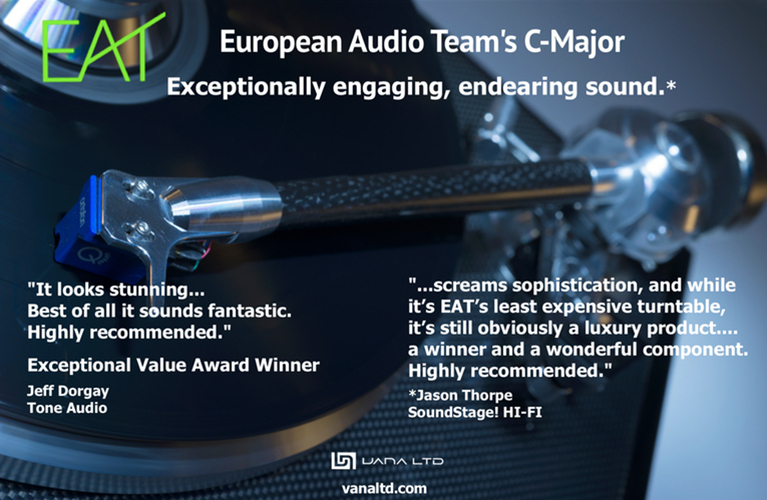 Xperience review, “This conveniently sized and carefully conceived system doesn’t merely hint at high-end sound -- it actually provides it.” Hans even bought a system for himself, something I think I might do -- you probably should too. 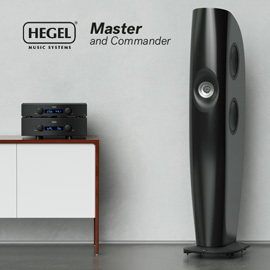 Hegel Music Systems H300 integrated amplifier-DAC: Hegel of Norway has been around for more than 20 years, but these days they’re making a huge splash in North America with austere but elegant-looking, affordable components that often outperform models costing much more. Case in point: the H300 integrated amplifier-DAC ($5500), which Hans Wetzel reviewed for GoodSound! in December. It’s the component you must look at if you want an exceptional-sounding, single-box electronics solution that can challenge the best separates while driving almost any speaker out there -- its amplifier section is said to deliver 250Wpc into 8 ohms or 430Wpc into 4 ohms, and to be stable down to 2 ohms. Buy an H300, couple it to the very best speakers you can afford (perhaps the KEF R500s? ), and I suspect you’ll have a system you’ll be satisfied with for a very long time. Cambridge Audio Stream Magic 6 network music player: Here it is, the future right now: Cambridge Audio’s Stream Magic 6 is a DAC, a music streamer (via Wi-Fi or Ethernet), even a digital preamp. What’s more, it’s cheap: only $1149. As I wrote in my July 1 editorial, “Today’s Streamers Are Tomorrow’s DACs -- Get Ready for the Next Wave in High-End Digital-Audio Playback,” products like this are harbingers of things to come, and will eventually supplant the simple DACs we know today. After all, why shouldn’t every digital source of the future have a feature set as rich as the Stream Magic 6’s? Try it and experience all it can do -- you’ll likely not only love it, you’ll find its features difficult to do without. It changed the way I think about digital front ends. Aurender S10 music server: The promise of the music server -- quick, convenient access to and high-quality playback from big libraries of digitally stored music -- has rarely been fulfilled. Most so-called music servers are severely outclassed in both performance and features by any ol’ Mac- or Windows-based computer running decent playback software. An exception to that rule is Aurender’s S10 music server ($6990). The Aurender combines outstanding industrial design with high-quality parts and a killer iPad app -- the result is a music-playback experience that most computer-based systems can’t match, functionally or sonically. The Aurender S10 is the first product to fulfill the promise of the music server, and the first we can unconditionally recommend to audiophiles -- which is why it’s a Product of the Year. Meitner Audio MA-1 digital-to-analog converter: Despite the advances made in digital music streamers, the market in conventional, high-end audiophile DACs is hot, hot, hot -- and one of the very best DACs available today is Meitner Audio’s MA-1 ($7000), which supports resolutions up to 24-bit/192kHz and DSD. Uday Reddy reviewed it for this site in May and was blown away, which didn’t surprise me. The MA-1 is something of a scaled-down EMM Labs DAC2X, which retails for $15,500. Meitner and EMM Labs are sister brands, and all products born under both umbrellas are the brainchildren of Ed Meitner, a well-known Canadian electronics designer who’s one of the world’s foremost authorities on digital audio. Like the DAC2X, the MA-1 contains proprietary parts, including Meitner-designed DAC chips and a special reclocking circuit. The most telling thing about Uday’s review was what he did as soon as he turned it in -- he laid down his own money to buy an MA-1, and now uses it as his reference DAC. NAD Viso 1 iPod dock: Last June, when Colin Smith reviewed NAD’s Viso 1 ($599) for SoundStage! Xperience, he called it an “an astonishing sound machine, and an epic achievement for its product category.” He also felt it was a far better product than Bowers & Wilkins’ Zeppelin, which costs the same and is considered by many to be a benchmark iPod dock. That kind of high praise deserves an award -- this award, for Product of the Year. But the fact that the Viso 1 is as good as Colin said it was shouldn’t surprise; the folks at NAD have long been wizards with electronic circuitry, and they enlisted the help of PSB’s Paul Barton -- arguably one of the top five speaker designers in the world -- to help make the Viso 1 sound as good as it does. Success, and then some. Simaudio Moon Evolution 810LP phono stage: Face it, most of the world listens to music through some sort of digital means -- mostly music files, whether from a storage device or streamed, or from an optical disc such as a CD or SACD or DVD or Blu-ray. But the way CD sales are heading, and the fact that BD-based music hasn’t really taken off, it might be that the last physical music format we have will soon be analog, and the one many of us have known longest: the LP. Sales of vinyl have made startling gains in recent years, and manufacturers have responded by offering some of the very best analog products the audio world has ever seen. Perfect example: Simaudio’s Moon Evolution 810LP phono stage ($12,000), which Graham Abbott reviewed in Ultra Audio in November and declared to be “easily the most flexible analog source component” he had ever used -- as well as the very best-sounding one, which is why it was an easy choice for a Product of the Year award. Audio Research Reference 250 monaural amplifier: Audio Research’s 11-tube, 77-pound, 250W Reference 250 monaural amplifier may be not only one of the best tubed amps you can buy, it may well be one of the best amplifiers of any type -- which is why it’s our top-rated amplifier this year. Pete Roth alluded to its superiority near the end of his September 1 Ultra Audio review, when he compared the Ref 250s to his reference Ayre Acoustics MX-R solid-state monoblocks: “I must conclude that the sound of Audio Research’s Reference 250s is finer.” High praise indeed -- and even higher praise is warranted when you learn that a pair of Ref 250s, while expensive at $25,990, doesn’t cost nearly as much as some amplifiers on the market these days, some of which have moved up into six figures. So in the sometimes crazy world of high-end audio, what’s asked for a pair of 250s is reasonable, given their world-class sound. Vivid Audio Giya G2 loudspeaker: I’ve been reviewing audio gear since 1995, but several years ago I made a novice reviewer’s mistake: I took a cursory glance at Vivid Audio’s entire line and dismissed it outright, not because I found the speakers odd looking (which is why some dismiss them), but because they looked too simple to be any good. In 2010 I took closer look, and learned that what looked simple was deceptively so -- the Vivids are remarkably complex and advanced, a combination largely attributable to speaker-design genius Laurence Dickie, who cut his teeth at B&W in the 1980s and ’90s, where he helped create B&W’s longest-running speaker design, the Nautilus. Subsequently, I reviewed Vivid’s Oval B1, which pretty much blew away everything else anywhere near its price of $15,000 per pair. I followed up that review with one of the Giya G2, which I found to be not only great for the price, but great for any price -- with a neutrality, openness, transparency, resolution, and dynamics unmatched by any other speaker I’ve heard. Both reviews appear on this site. The price of $50,000 per pair is high, but given the fact that the Giya G2 outclasses just about every other speaker on the planet, regardless of price, means that, in the ultra-high-end arena, it, like ARC’s Reference 250, is actually a pretty good deal. I’ll never dismiss Vivid Audio or Laurence Dickie again -- and you shouldn’t either. Next month: the top products and the best-sounding systems at the 2013 Consumer Electronics Show.